Each solar cycle lasts roughly 11 years. After this time, its magnetic field flips over. After two cycles the magnetic field has flipped twice and it ends up back where it started. During these cycles the amount of solar activity goes up and down too. Sunspots are a good measure of the amount of activity going on in the Sun at any point, and the number of sunspots on the Sun follow the 11 year solar cycles; there are more sunspots at a solar maximum and less at a minimum. A sunspot’s magnetic field is very strong and stops the transfer of heat from the interior of the Sun to the surface. Sunspots look dark because this loss of heat makes them cooler than their surroundings. In fact the surrounding area is brighter than it would be without the sunspot. This means that, counterintuitively, the more sunspots there are on the Sun, the more energy radiates out of it — even though it looks darker than usual. The last solar minimum was unusual because there were a very high number of days — about 800 — without any sunspots at all. Nandy and colleagues created a computer model to try to work out why this happened. They found that great loops of electrical current, which flow in the plasma that makes up the Sun, were interfering with the formation of new sunspots. In a plasma, the electrons have been stripped away from their atoms, leaving them free to move about and conduct such currents. The currents flow around the surface of the Sun, going down into the interior at the poles and resurfacing at the equator. 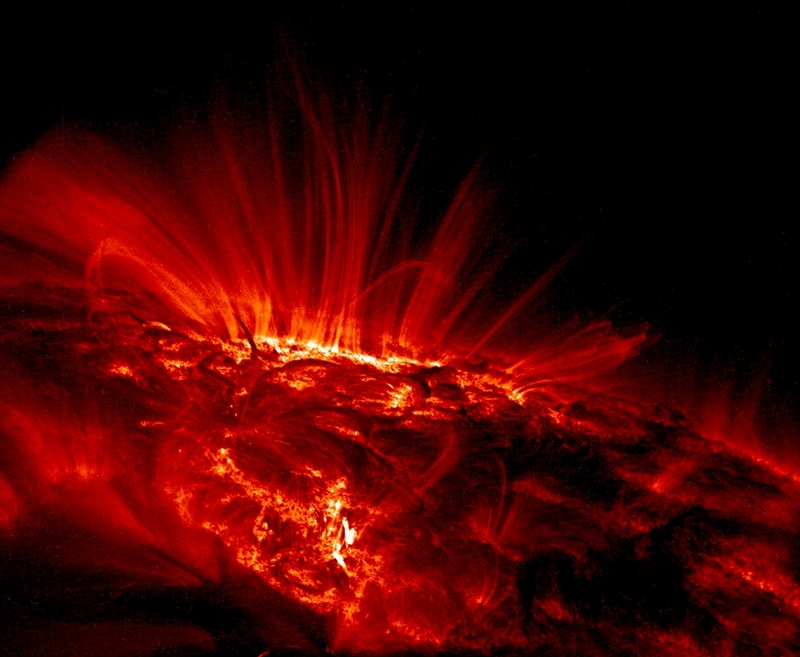 Dying sunspots get dragged underneath the surface, where their magnetic field is given a boost. They are then sent back up to the top to form a new sunspot. 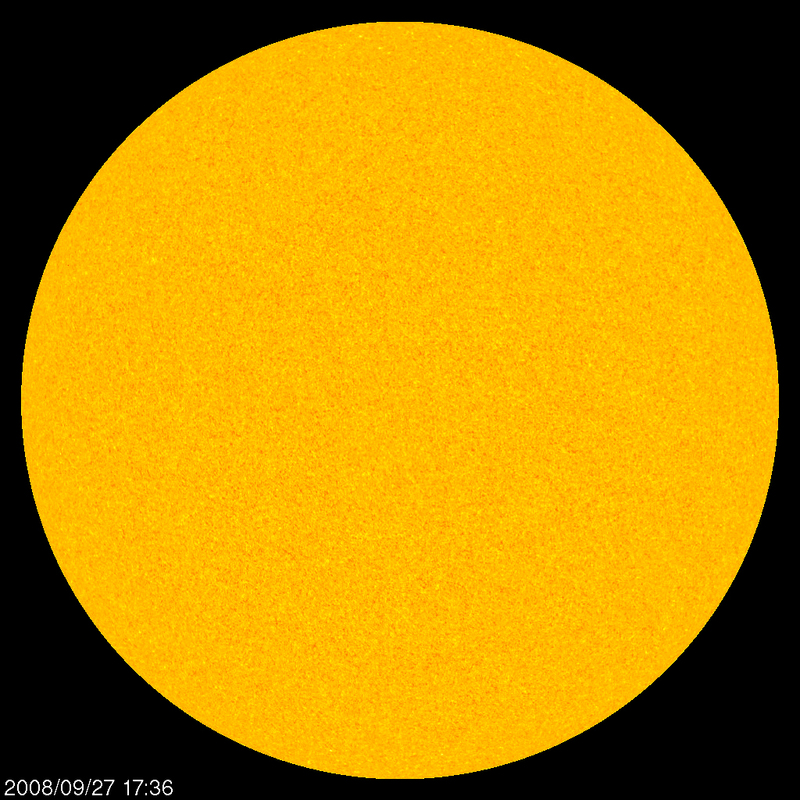 During a deep solar minimum, however, it doesn’t quite happen like this. In the first half of the solar cycle the plasma flows quickly, but in the second half it slows down. This fast movement at the start stops strong magnetic fields forming inside the Sun, so that it eventually runs out of steam and stops making sunspots during that cycle. The slow plasma flow afterwards means that the formation of the next lot of sunspots takes a bit longer to get going that usual. This all adds up to long stretches of time without a single spot on the surface of the Sun. The team’s simulation, which modelled this physics, reproduced what we saw during the last solar minimum, showing that very deep solar minima are generally linked to the Sun’s weakened magnetic field. Being able to predict when solar minima like this are going to occur is a very useful thing. When the Sun’s magnetic field is weakened, so is the solar wind. The solar wind is a stream of charged particles that are ejected from the Sun’s atmosphere and into space, and is responsible for aurorae, geomagnetic storms and the tails of comets, amongst other things. It also stops lots of cosmic rays getting into the solar system. When the Sun’s magnetic field is weakened, the solar wind lets more cosmic rays through, making space a more dangerous place. This new model will hopefully mean we can predict hazardous changes in space weather and plan missions accordingly. Since the solar minimum means more cosmic rays around the solar system, and cosmic rays can do funky things to integrated electronics, can I claim cosmic rays as the reason for soft calculation errors? Maybe get an extension on some project in the future when the next solar minimum occurs? Also, how great is that app? I love it. I've tried a few times to construct a pin-hole projector for solar viewing, but never managed to get it right. Are there other ways to safely view the sun and sunspots? It's amazing! I find myself checking it in lectures when i get a bit bored (at least it's a relevant distraction...). I don't know of any other ways (bar getting a telescope and some good filters).